It’s that time of the year where riders will have done a few race efforts in training but it’s not until you get into a race that you really get to feel what it’s like to be in the hurt locker again as you get a battering from your closest rivals. 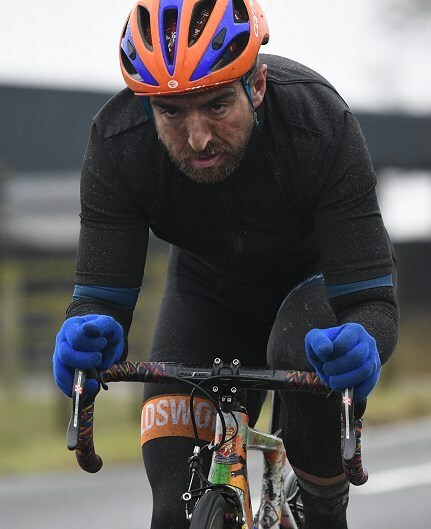 A rider having his first race on Saturday last week was Russell Downing, at the Roy Thame Cup, a race in memory of the former manager of the original Holdsworth Team and so an event that meant a lot to the new Holdsworth team. Speaking before the Jock Wadley, Russell explained “it was good to get a hit out. I got in the breakaway as I needed a good leg opener and that was probably the hardest I have been since last September. It was good for the team though – we tried to get in the race and while I got in the break, the lads got caught behind a crash and then there was a split and so on”. “The group I was in wasn’t working well so I took my chances and attacked and had Matt Langworthy with me and he was going pretty well. I thought we were going to get away but no, we got caught and then it was cat and mouse. The Tifiso guy was up the road (Rupert Graham, winner) and he was going well. He rode away and everyone was looking at each other and we never saw him again”. Asked about racing versus training, Russell told me “It is totally different to training. I have started to feel not great in training but have been good the last few weeks but yesterday (Roy Thame Cup) it was hurting and everyone was saying how grippy it was. I need to race back to back though and then relax this week”.